Why Are the Birds Avoiding Us? 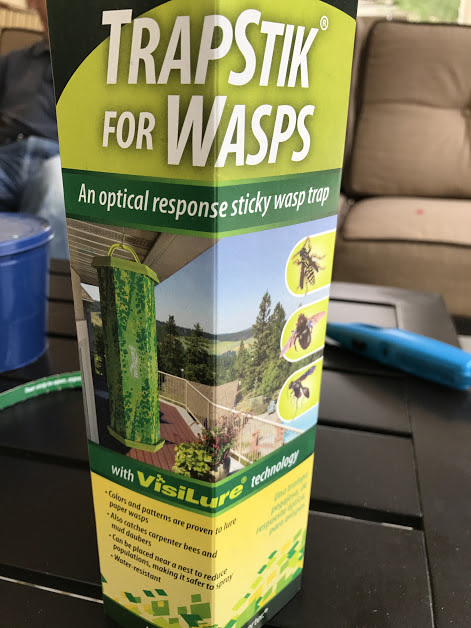 I recently waxed eloquently about how great these sticky wasp traps were….. 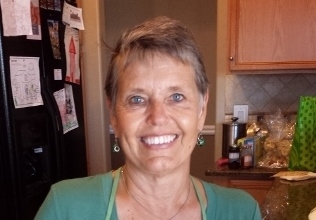 The other day, Dagny — animal lover extraordinaire — looked at my wasp trap covered with wasps and said, “Nana, you ought to be ashamed of yourself.” Knowing full well of what she was speaking, I immediately informed her that I was, in fact, not one bit ashamed because I heartily dislike wasps. The only good wasp is a dead wasp in my world. “Yeah,” she said, “but you also have some ladybugs on there.” I admitted that the dead ladybugs made me a little bit sad, but haven’t you heard of collateral damage? However, the other day when Addie was finished mowing, she informed me that there was a dead bird on the wasp trap. I checked it out, and there was, indeed, a dead chickadee on the trap. Now THAT made me sad. I made Bill throw it out as soon as possible, and swore Addie to silence. That is something I will NOT tell Dagny. And I won’t show you a picture. 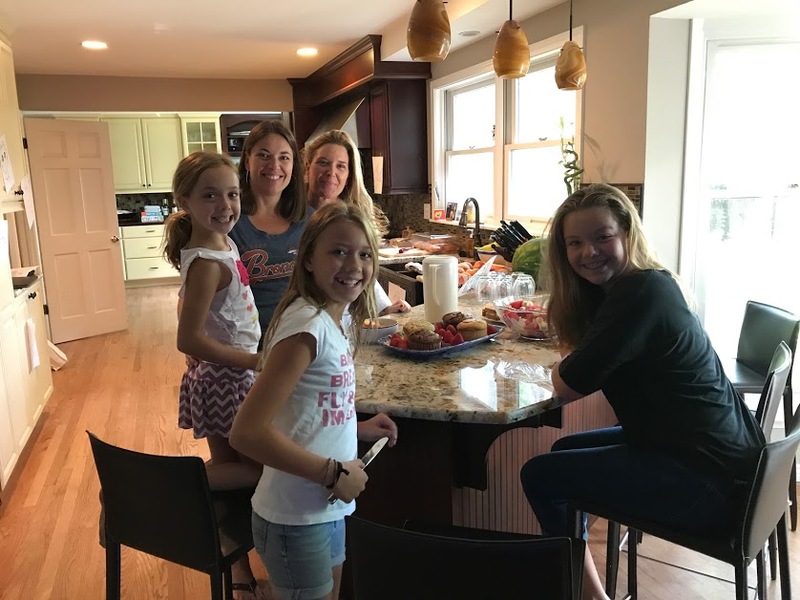 The other day I was tired of listening to all of the noise coming from the family room as Bill began installing the wood flooring, and decided to take Kaiya, Mylee, and Cole for an afternoon ice cream cone. It is the grandmother’s duty, after all, to ruin the kids’ appetites. As we drove over to Dairy Queen, I asked the kids what they wanted. Vanilla cones dipped in chocolate for Mylee and Cole, and a vanilla cone with sprinkles for Kaiya. Before I ordered, I confirmed with Cole that he wanted a chocolate dipped cone, and he was firm about it. The reason I asked was because the last time I had taken them, that’s what I’d ordered him at his request. He was happy with it until he spotted Kaiya’s sprinkles and wanted them instead. Kaiya, who can’t tell her brother no, gave it to him happily. So this time, I wanted to make sure he wanted a chocolate dipped cone. 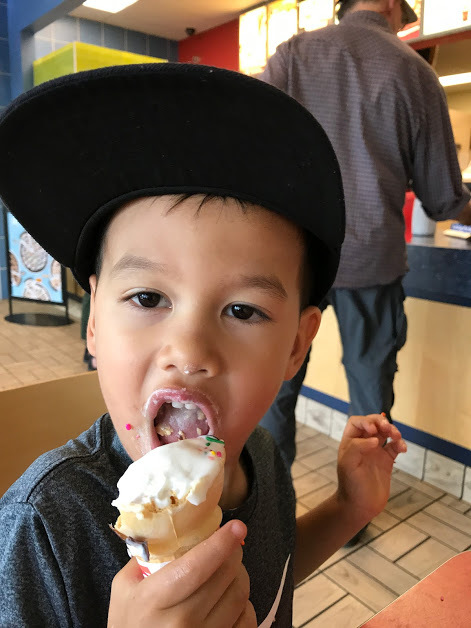 This time he ate the chocolate off the cone, but once that was gone, he began pouring Kaiya’s unused sprinkles onto his then-vanilla cone…..
Once again, Kaiya didn’t complain, and maybe I learned my lesson this time. 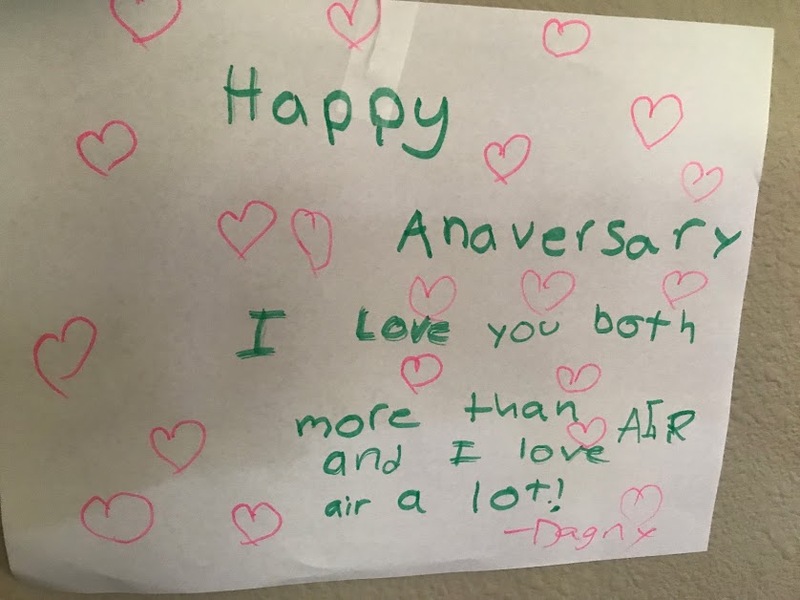 To celebrate their parents’ anniversary, the kids each made little signs that they posted all over the house. This one from Dagny was my personal favorite…..
You gotta love the grands. That was sweet of Jll and David’s crew. I bet Cole thinks he got his order just right. One round of ice cream with chocolate and the second round with sprinkles! A chocolate dip cone with a side of sprinkles. 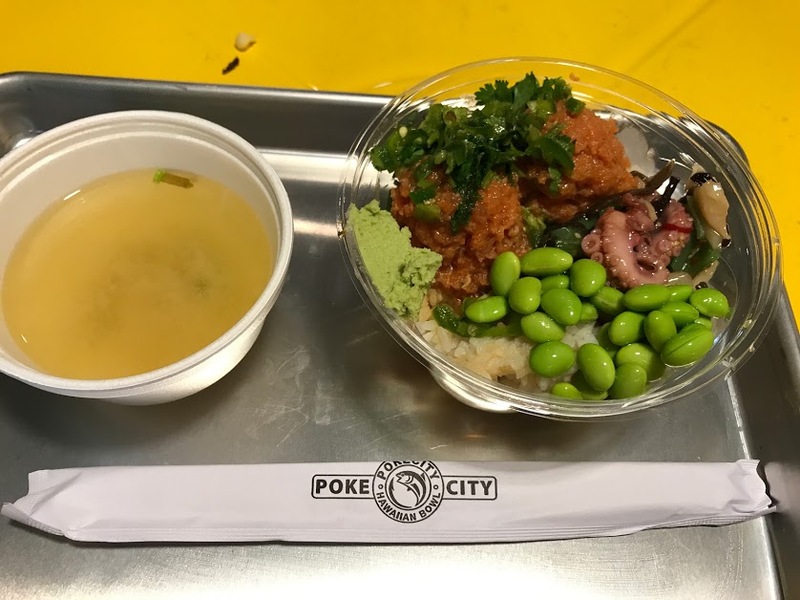 Don’t know about the poke bowl. I see things in there that might not appeal. 🙂 Sorry about the bird, it is sad, however, wasps are nasty things!!! I remember that wedding, it was beautiful. Particularly loved the kilts!